Hi, this is Apol of 7100 Islands! Summer is the time here in the south of France where neighbors start handing us baskets of vegetables harvested from their own gardens, baskets often at least half-filled with zucchinis. 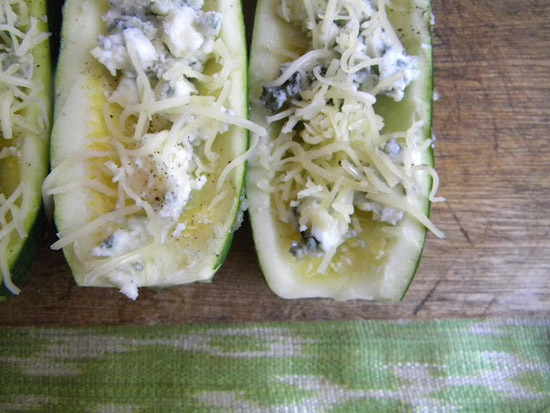 Last summer, my husband, in his eternal quest to do something new with it, started baking zucchinis with Roquefort cheese. It has since become a family favorite. Even our toddler loves it. The really great thing is that it's ready to eat in 30 minutes, cooking time included. 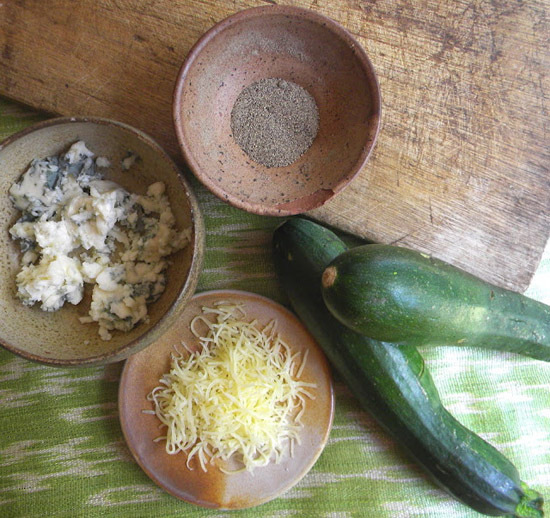 What you need are two medium zucchinis; about 100 grams of Roquefort cheese that you break into bits with a fork; some ground pepper; and a handful of grated Emmental cheese. No need for salt, as Roquefort is already salty. 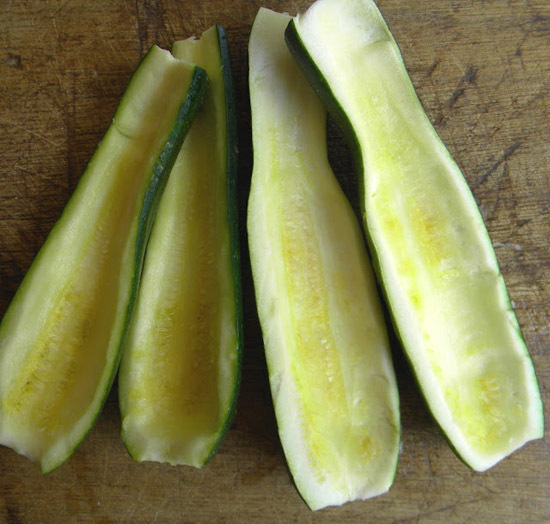 Cut your zucchinis in half lengthwise, and with a spoon scrape out the part with the spongy bits and the seeds. Now you have the perfect spot for the Roquefort cheese. Fill up your zucchini halves with this. Add a dash of ground pepper, and then a sprinkling of grated Emmental on top. Bake in the oven at 200 degrees for 20 minutes, and it's done. All that's left to do is serve your zucchinis with some good bread and then have lunch. Bon appetit! Easy peasy - and it looks yummy - have to try this! Yeah, what Deborah said! It does look super easy and super yummy. Will add it to a meal soon! Just got a bushel of zucchini from our CSA Box, will certainly be making this for dinner tonight!